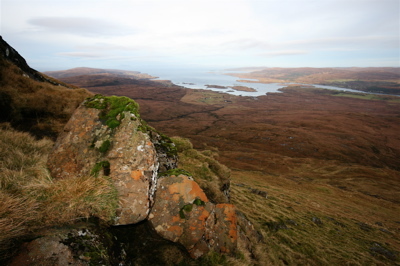 After a long journey to Skye, perhaps you would like to forget the car and just explore the area on foot. Pooltiel pier which is a quarter of a mile walk from the cottage, used to be the hub of the community. Two steamers a week used to call here, bringing supplies and taking away goods(before there were many roads in the area). 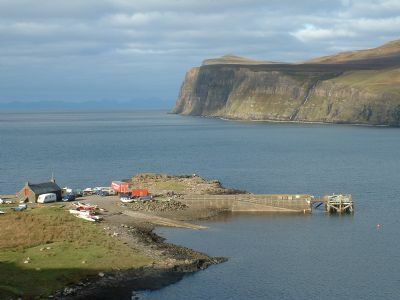 There is still the old stone store which was used for a fishing station.Herring fishing used to be the mainstay of the Milovaig community, and salt for curing was stored in the building. Cod and Ling were also wind dried in the area. 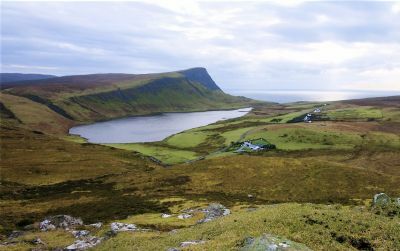 Waterstein can be approached by walking directly behind the cottage over the moor to the cliffs,or you can walk along the road.The loch is by legend the home of a water horse ( I have not seen it personally), but some local people on Skye are wary of the place. 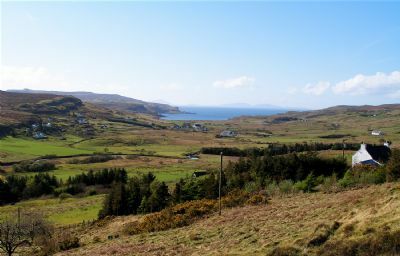 Ramasaig is a good example of a cleared village. 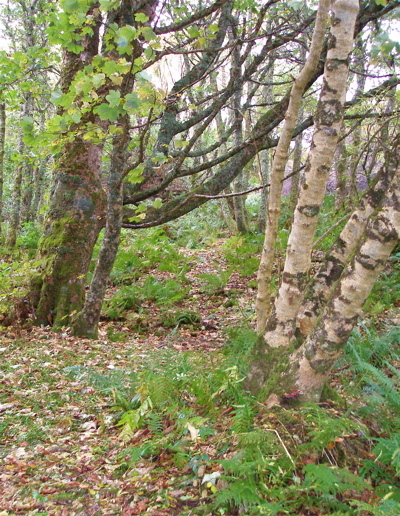 Park up by the shepherds cottage and walk to the shore keeping to the left of the river. 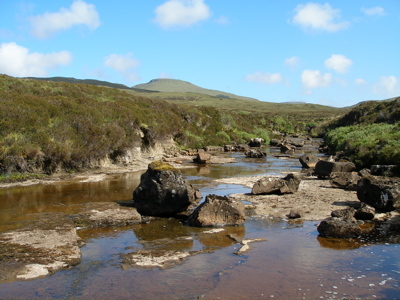 You will pass many ruins of the old croft houses.When you reach the cliff by the waterfall turn left and you can get to the stony beach by a small stream and waterfall. Take the lower Fasach road and park up at the far end. Walk through a five bar galvanised gate and follow the track. After a short while the track levels out and starts to turn left and go uphill but you go straight on here past some old ruins on your right and you will come to a track that follows the river.You can walk as far as you like and there are some good pools for swimming(much warmer than the sea). There are dippers on the river, and deer if you walk far enough! 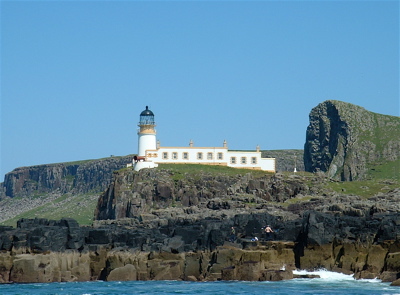 This a popular walk as it is the most westerly point on Skye. A good spot for seeing Minke whales and basking sharks (from April to September). It is a twenty minute walk to the lighthouse and about half an hour coming back. Sometimes you get sightings of golden eagles on Waterstein head and there are many nesting seabirds. 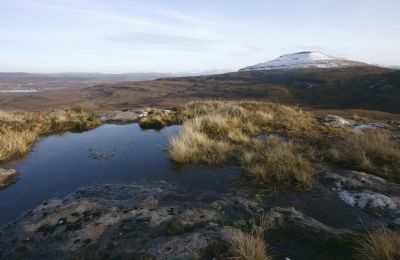 This a view of Macleods table taken from Beinn an Fhraoich.The quickest way up the table is to park up beside the road on the long straight before the water treatment works.Go through the five bar galvanised gate and follow the track up to the cottage at Osdale. Walk round the back of the cottage until you reach the ravine and follow the track up on the right hand side until you reach a level spot where where you can step over the stream.There is no set path, you just make your way to the top from here. Allow about about an hour and a half from the road to the top. Once on the top of the table, walk the circumference to achieve all the views possible! Dunvegan woods is a good place to go on a windy day for you get some shelter.One well signed walk is the two churches walk which starts at the Church of Scotland goes through the woods and ends at the old cemetary at Kilmuir.